The power lines were at a height of 18 feet and 10 inches, which the plaintiffs argued were too low. They also argued that SCE did not maintain the lines at 25 feet and also failed to either remove or trim trees that were growing beneath the power lines running over the property. The plaintiffs pointed to current regulations issued by the Public Utilities Commission requiring that power lines be no lower than a minimum of 25 feet. Finally, the plaintiffs argued that the jury should not consider that the man was a migrant worker, that his family spoke no English or that he was frequently away from his family for extended periods due to his work. The defendants attempted to rely on former PUC regulations dating to 1946, the time the lines were installed, which at the time designated the minimum height of the lines from the ground to be 17 or 18 feet. SCE also argued that the line clearance had been changed in 2009 when an electrical pole was damaged. Further, the company argued they were only required to have their lines clearing trees by 18 inches. The defendants all argued that the man’s employer was at fault for not keeping workers at least six feet apart and by providing the man with a 20-foot ladder, as the trees, according to them, were only between 12 and 14 feet tall. The defendants also argued that the damages should be less because he had apparently been away from his family for a year, and that the man’s coworker did not suffer any emotional distress due to witnessing the accident. In the state, juries can award both economic and noneconomic damages in cases in which a person dies due to the negligence of another. Economic damages include the financial support that the decedent would have provided if they had not died, any loss of benefits the decedent would have otherwise provided to the plaintiffs, burial and funeral expenses and the value of household services that would have been received by the plaintiffs. Noneconomic damages include such things as the loss of the love and companionship of the decedent, the loss of their guidance and the loss of consortium, or sexual relations, with the decedent. Juries are instructed that there is no fixed standard on the amount of noneconomic damages, but they should instead set them according to what they believe is reasonable and according to what the person’s life expectancy would have been if they had not been killed. According to Steven M. Sweat, Personal Injury Lawyers, APC, an electrical wiring accident attorney, statistics from the National Safety Council and the Consumer Product and Safety Commission show that between 400 and 500 people die every year in the country from electrocution. 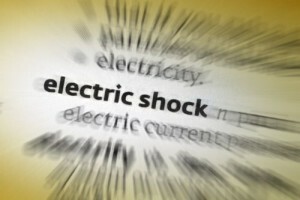 Among the causes of such electrocutions in California are faulty wiring, which causes 20 percent of the cases, coming into contact with power lines and being shocked by consumer products and appliances. When a loved one has been killed after being shocked by an appliance, a power line or faulty wiring, the family may be able to seek damages for their losses by filing a civil lawsuit against the persons or companies responsible. An attorney may be able to review the facts of the case in order to determine whether negligence likely occurred. They may then identify all of the legal grounds upon which to base the claims and file the civil complaint to initiate the case. Jury Verdict Alert, “Migrant orchard worker electrocuted by overhead power lines, family in Mexico awarded $4.7 million,” Accessed Aug. 5, 2015. Justia, “California Civil Jury Instruction 3921,” Accessed Aug. 5, 2015. Steven M. Sweat, Personal Injury Lawyers, APC, “Electric Wiring Accident Attorney,” Accessed Aug. 5, 2015.